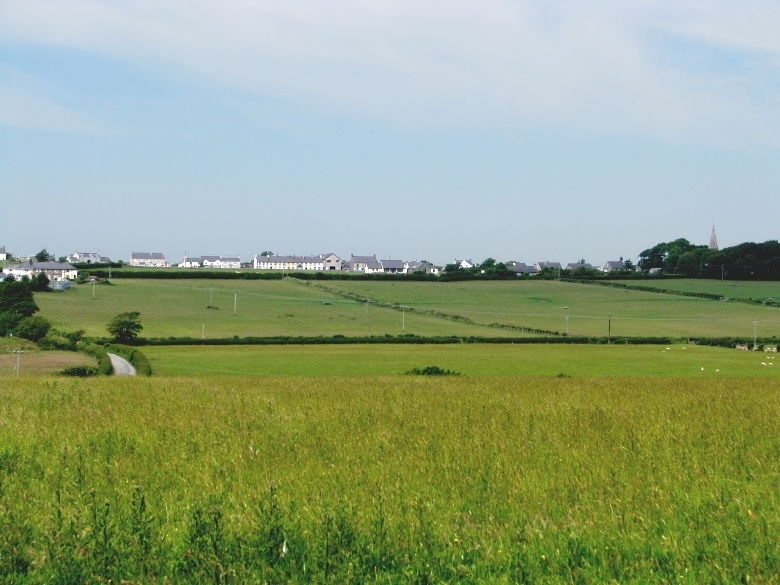 Exit the A55 at Brittania Bridge, take A5 west to Llanfairpwllgwyngyll, take A4080 to Brynsiencyn (3.5 miles), travel through Brynsiencyn. Turn right on B4419 after approximately 1.5 miles, after another 1.5 miles you will reach Llangaffo and a T-junction. Turn right, and the church can be seen on the right hand side. St Caffo's Church is located in the village of Llangaffo, on the Isle of Anglesey, North Wales. The church is dedicated to St Caffo, a friend of St Cybi, and a member of the 6th Century circle of saints who evangelised North wales. Although the church is not given much credit for its architecture it is a fine 19th Century building that sits well among the yew trees, and the church spire is a landmark for miles around. 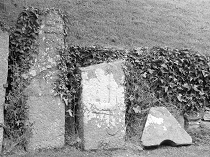 But the church is most well known for the remarkable collection of inscribed and decorated stones, dating from the 7th to 12th centuries. This collection reflects the former historical importance of the site, probably a monastery. 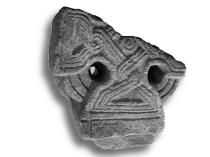 The earliest stone in the collection dates from the 7th Century. The stone is in the sacristy and the key is kept at the cottage at the entrance to the churchyard. The inscription on the stone has been translated thus: Gvernin, son of Cuuris Cini, set up this stone. The wording suggests this is not a gravestone but some other memorial. The formula is often used later by those who set up crosses. The broken head of one such cross is lying beside the sacristy door. It was a wheel cross cut from a single piece of stone with a projecting tenon by which it would have been fixed to a tall shaft. 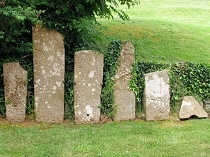 Other stones can be found in the graveyard walls. 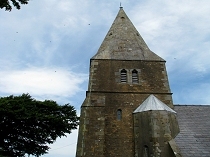 The old church, whose foundations can be recognised by the modern war memorial, contained features dating from the 12th and 15th Centuries. It was demolished in 1846 when the village population outgrew it. 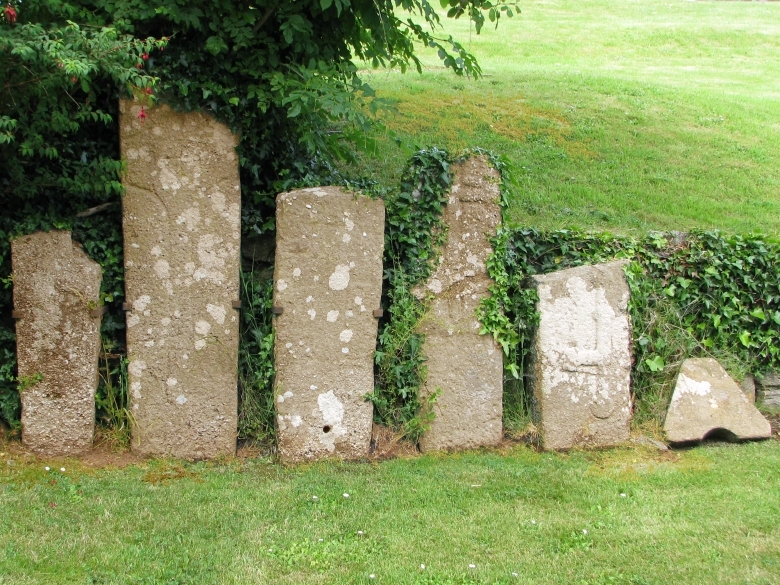 Acknowledgement : A guide to ancient and historic Wales. 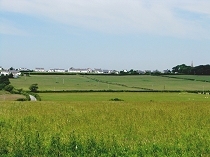 Gwynedd. by Frances Lynch. HMSO. 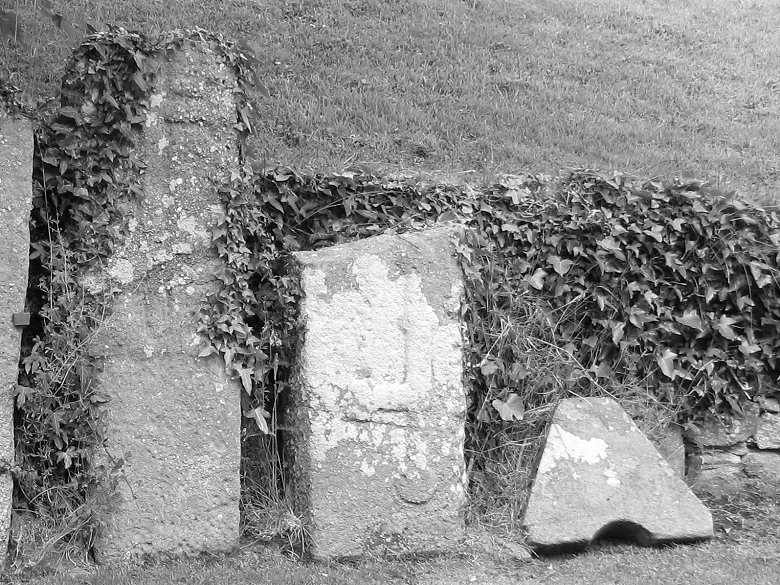 3.Llangaffo Church gravestones 4.Llangaffo Church gravestones close-up. 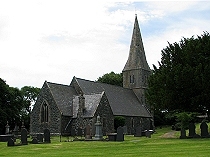 Walesdirectory.co.uk, where you can find info on Llangaffo Church Llangaffo. You may make an instant secure hotel or cottage reservation close to this attraction. Hotel and cottage availability and rates are confirmed online prior to booking. Simply click through to the accommodation page, choose a suitable property, check availability, including dates of stay, to confirm the exact room rate and reserve the accommodation.